I've always tried to use surf sprays before but never really understood how to use them. In my head it was as simple as spray your hair and end up with beached waves. Well Im afraid thats never going to happen. Nothing is realistically going to make your hair wavy (if its naturally straight of course) unless you do something do it like add heat. Salt spray can be used to add texture, volume and roughness to the hair. 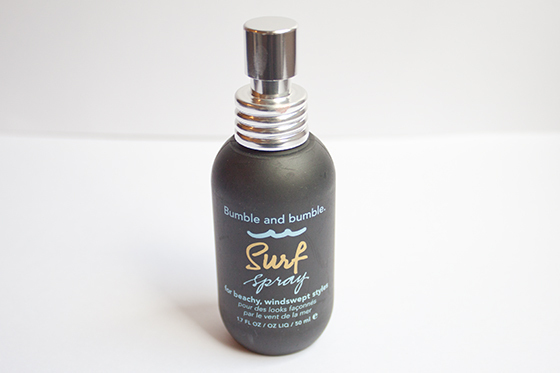 Bumble and Bumble Surf Spray is one of those products I've always wanted to try out but never bought. So when I was offered of course I jumped at the chance. What I tend to do is wash my hair add my usual post-washing products (normally a hair oil and Bumble and Bumble Texture creme) and then when it's semi dry after blow drying I spray as much as I can be bothered. Then I'll either leave to dry natural or take a diffuser attachment and mess it all up.Surf sprays do dry your hair and scalp out so I would use them in moderation. 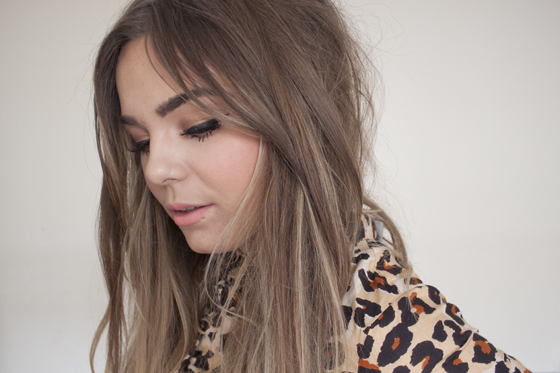 Apply it sparingly to the mid lengths and ends of your hair rather than all over. I found it irritates my scalp a bit too much if I apply it directly near the root. I love using this too add texture to my fine limp hair which in turns helps give my hair a bit of beachy, bed head volume.